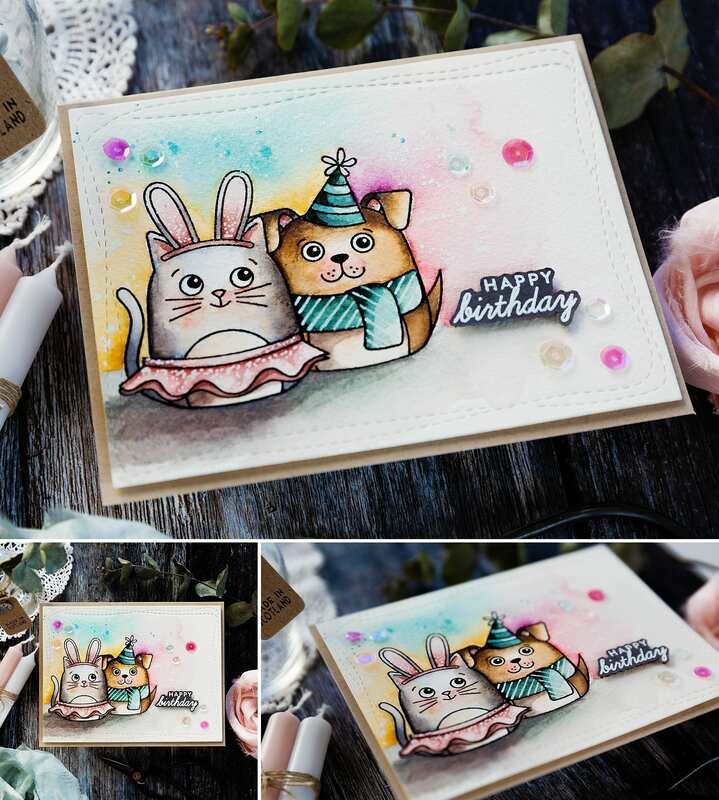 It’s a friend’s daughters birthday soon, and she is going to be training to be a vet in the autumn, so I had to dig out some cute critter stamps for her birthday card! I’ve linked all supplies at the end of this post. Compensated affiliate links used where possible at no cost to you. 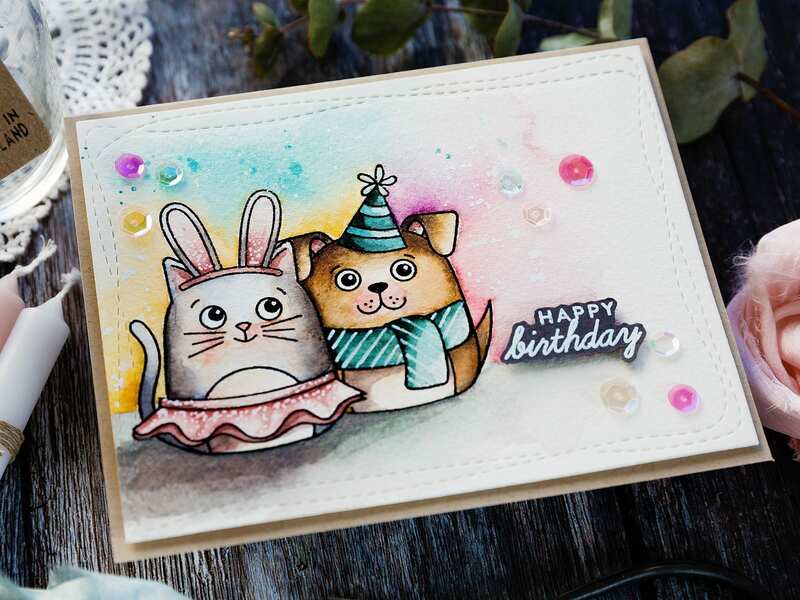 This card uses the Dog & Cat Dress Up set from Simon Says Stamp. The dog and cat are separate images, and you also have an array of accessories to dress them up. I worked out the design I was aiming for and then set about stamping and masking the various elements. 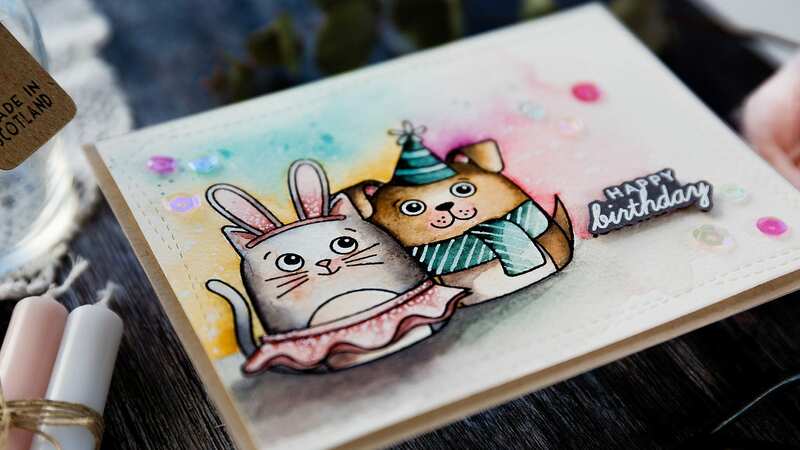 I stamped the tutu and bunny ears first, masked those and then stamped the cat. I then masked the cat and stamped the scarf and party hat, masked those and then finally stamped the dog. I used Versafine Onyx Black Ink on Arches Cold Pressed watercolour card as I planned to watercolour these cuties. I used Daniel Smith watercolours to paint the scene. I started with the cat and dog before moving onto the background. One point I’d like to highlight is how to mix a lovely grey, and that is combining Ultramarine Blue with Burnt Sienna, and I used that to paint the cat. It has lovely variation in colour which I think works well for fur texture. 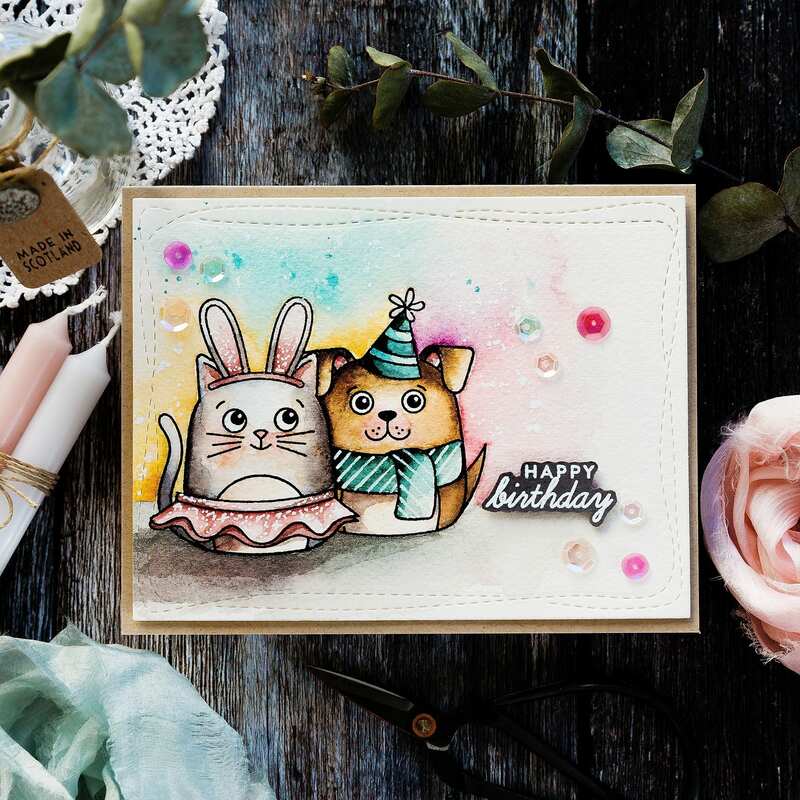 Having painted the scene, I die cut the watercoloured piece with a Wonky Rectangle die and then stamped a sentiment from the Cat & Dog Dress Up set to the right of the critters in Versafine Onyx Black ink – you can see it peeking out underneath the sentiment I finally chose. I think I felt the simply stamped sentiment felt a little lost, so instead, I stamped the same sentiment again on Slate card in clear embossing ink and white heat embossed before trimming around the letters. I then foam mounted the new greeting over the previous one, and unless you look at it from a sharp angle, you’d never know! To finish the card, I mounted the panel on a Desert Storm card base and added a sprinkling of sequins. Hopefully, our friend’s daughter will love the card. She wanted a piece of jewellery for her birthday but considering her chosen course we decided against a ring or bracelet instead going with a necklace which we think will be less likely to get lost inside a ewe at lambing time! I find it so fascinating seeing our children and those of our friends growing up and choosing their path; it brings a tear to my eye! Ohh this is so adorable !! Oh Debby, this is just the sweetest card and so beautifully made. I’m sure your friends daughter will adore it and treasure it. 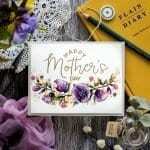 Your cards always look as though they are made with love and I’m sure that’s what contributes to the immaculate finish they always have. What a cute card Debby, love the critters. Great colouring! A-DORABLE! I wish you’d done a video, the coloring is fantastic – as usual! Thanks for sharing your talent Debby! The card is perfect for someone going into a veterinarian field. Good luck to her.